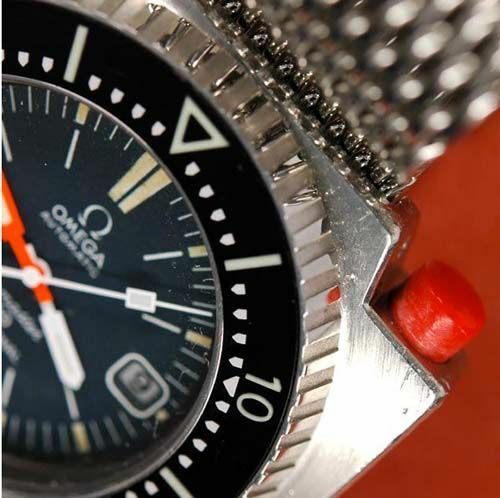 Also known as the Seamaster PloProf, Omega developed this watch in the late 1960s in close cooperation with the COMEX company and Jacques Cousteau. Solely designed and developed for professional use, this diver’s watch was being nicknamed PloProf (Plongeur Professional) by those involved. Earlier this year, I wrote a small review (click here) on the current Omega Seamaster PloProf 1200M, a successful re-designed timepiece based on the original PloProf. The new PloProf 1200M is a superb diver’s watch, although collectors or connoisseurs probably prefer the original PloProf. Therefore, I am bringing this beautiful – and original – 1970 Seamaster PloProf 600M (166.0077) to your attention that is currently for sale at vintage specialist SubGMT. Normally specialized in vintage Rolex sports watches, he once in a while makes an exception for really cool other timepieces as well. Such as this PloProf 600M ref.166.0077. Asking a firm 5.500,- Euro on Chrono24, what do you get? It is the first model of the PloProf, with ‘600’ on the dial to indicate the water resistance. Later on, this was changed to 600M/2000Ft. Also, the watches comes on the original mesh bracelet. The box is also Omega, but unsure whether this is the one that came with the watch originally. The case is unpolished, and except for the hands, everything looks completely original. With dimensions of 54mm in width, 45mm in length and 15mm thick, this is a real men’s watch. Together with the mesh bracelet, it weighs approximately 175 grams. 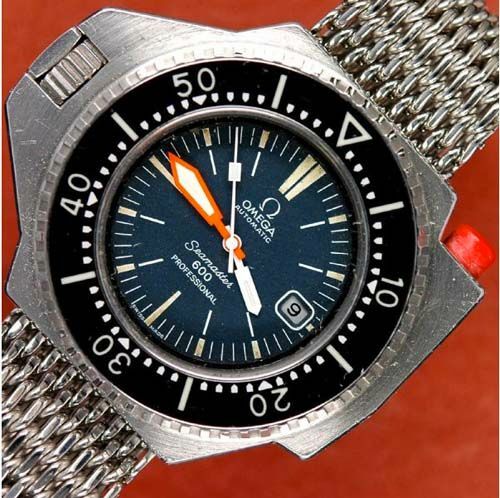 You will find an incredible amount of information regarding this Omega Seamaster 600 PloProf at the Ploprof website by Jon Wallis. Photo credits to SubGMT.